Numerous solar powered energy efficient lighting solutions. Solaaron offers solar lights and solar lamp cords for use with our solar generators as well as light bulbs that are solar rechargeable. 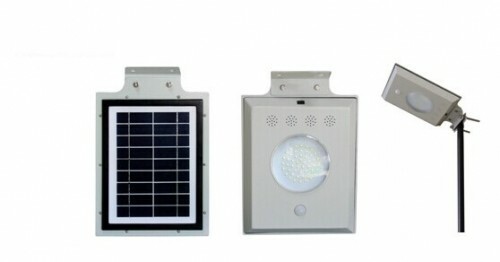 We also carry all in one solar street lights with built-in motion sensor technology. All of our solar lighting options and LED lights are DC and extremely energy efficient. Our light bulbs for our solar generators are among the most durable around and are designed to last for several years.